Red Riding Hood is a classic story that, hopefully, all of us have heard at some point or another. Orlando Harding, however, takes this classic tale and twists it into a story of growing up, mythical creatures, gore, and overall epic proportions. Quite often our fairy tales and fables play upon something in the human psyche that is primordial and visceral. Playing with themes of the innocent set upon by sinister forces, these stories paint a grim and shadowy portrait of the world we live in. As humankind races into the future and technology transports us farther and farther away from these quaint tales that were once told by the fireside, we view them as being curious oddities with little relevance to the world that we live in today. But, if we stand still long enough and listen, the echoes of these stories still can stir that part of us that looks to and fears the dark. 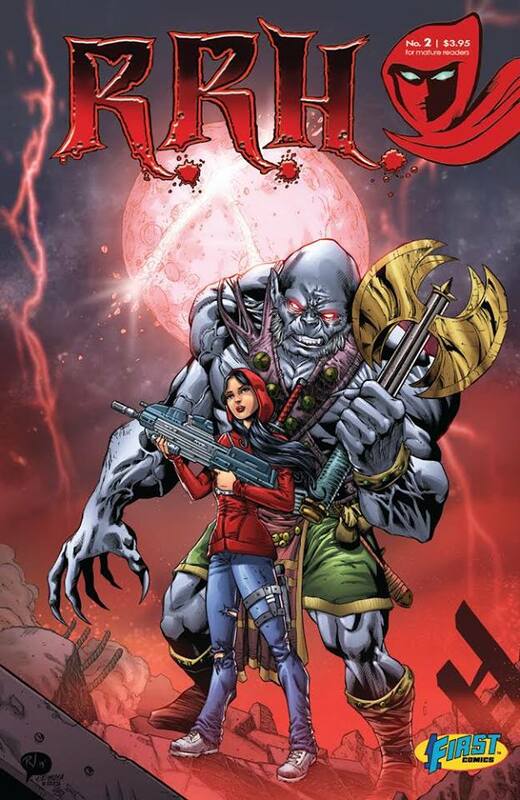 Devil's Due/1First Comics R.R.H (Red Riding Hood) series written and created by Orlando Harding (Night Stalker, Pariah) returns to the dusty story of the girl in the red hood preyed upon by the big bad lycanthrope and updates the tale for a modern audience. Working with Andres Esparaza (winner of the 1First Comics talent search contest), Mr. Harding manages to create a something that rings with a sense of "de ja vu" that is strangely fresh, exciting and original. 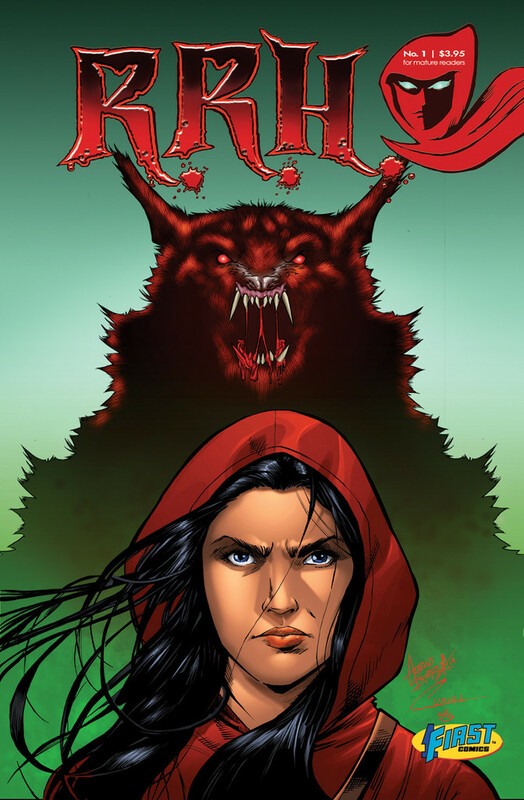 The story centers on Sydney, a high school student who discovers her strange and terrible legacy on her 17th birthday and how her family heritage all ties into the legend of Little Red Riding Hood. 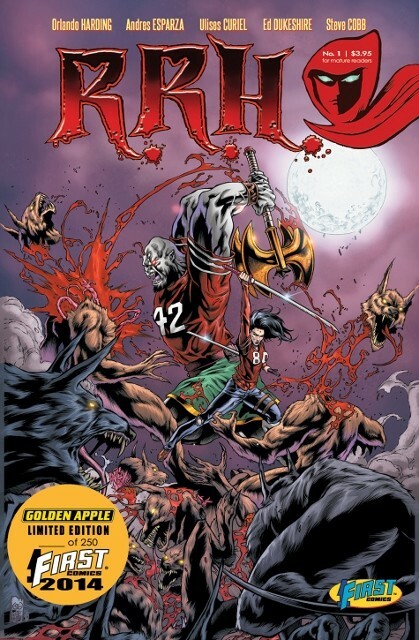 Yes, there are such things as big bad wolves...werewolves to be exact, and they are looking for a little ancestral payback to Red's bloodline for centuries of annihilation. As she learns more about her heritage and the legacy that she is destined to inherit, a hidden set of powers are awakened in her and prove to be a skill set she will need to survive the horrors that sinister forces have in store for her. She is a slayer with a sword and she isn't afraid to use it. 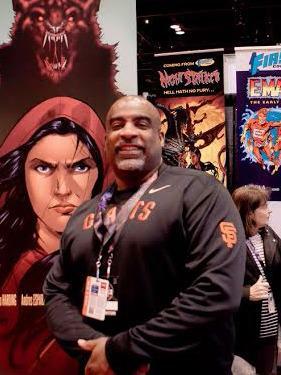 All this month Ill be reviewing different comic books by African-American creators, based on submissions from the actual creators of the comic books themselves. Check out the archive to see what books have been spotlighted so far. Everyone knows the story of Little Red Riding Hood from childhood. 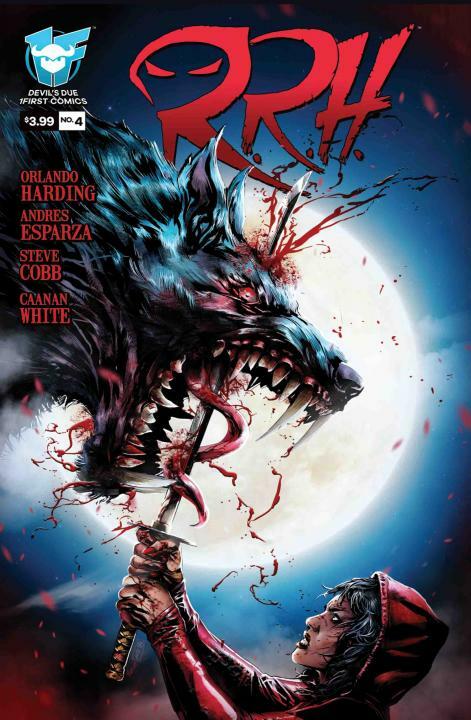 Orlando Harding, of Nightstalker fame, and #1First Comics have a brand new take on the Red Riding Hood story in their new comic R.R.H. 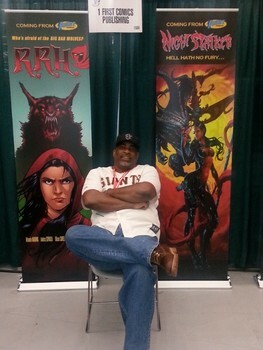 Orlando Harding keeps the hits coming with his latest release through First Comics entitled R.R.H. 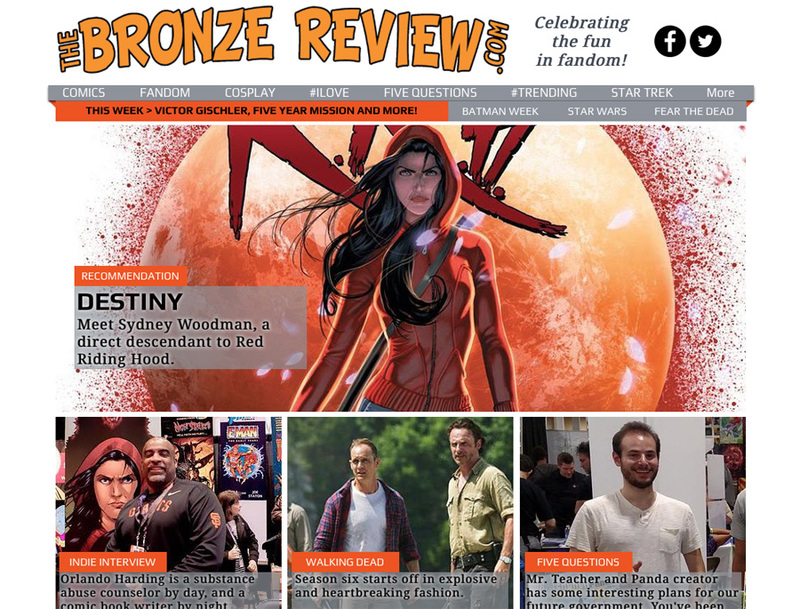 Mr. Harding took time out of his busy Con schedule to share a bit about this new fantasy/horror title and some really cool developments that are brewing around this new release.